Want to sign up for SafetyGuruOnCall.com? You've tested your WHS, now it's time to act! 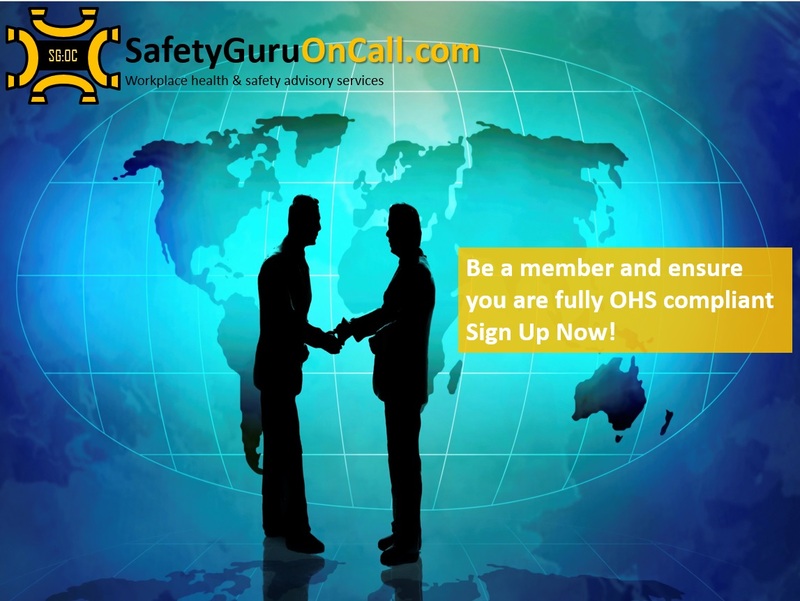 SafetyGuruOnCall.com is the cost-effective way for your organisation to reduce risks and stay compliant. SafetyGuruOnCall.com are designed specifically to meet the needs of smaller and medium sized enterprises, we can provide your business with our standard or customised packages, tailored to meet your organisation’s unique requirements. Access to our document library containing sample policies, training manuals, safety presentations, and more. If you need something beyond our standard subscription-based services, our advisory team can provide pricing for more in-depth projects. Examples include on-site training, a mock Worksafe Inspector audit, and more. What are Added Value Benefits?